So for years now, those of us of an age have been griping noticing that our societal peers are devoting way too much of their attention to their smartphones. 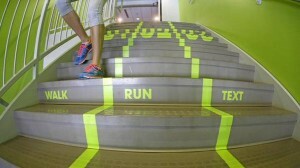 There have been funny and curious ways we deal with this, but none as awesome as dedicated texting lanes! Whether it’s teens or young adults seemingly ignoring each other (in favor of their phones) while out it public, or a driver foolishly texting on the road, or folks interrupting live interactions to answer a text or even a call! We see it all the time. There are even fun games to play when out with friends… stack your phones on the table and the first one to grab theirs also grabs the check! I get it. I think back to my first cell phone back in the mid-90s and compare how I used that phone to how I used my iPhone today… and even more telling about the iPhone experience, I’m on my fourth “upgraded” device. In fact, I love the growing use of mobile for life and business interactions so much, I work at HeyWire, a leading vendor in the SMS business messaging space. But how are “texting lanes” now a thing? Safety mainly. People can be blissfully absent from their environment when using smartphones in public. So much so, the mayor of Philadelphia pranked texters on April Fools Day in 2012 to help raise awareness of the issue. The June 22 issue of Time talks with the co-founders of Playdots on the science behind how their mobile games get you hooked, and the methods on how they cracked it. CNET’s “Technically Incorrect” today features their “slightly twisted take on the tech that’s taken over our lives” – news of a Chinese teen whose leg got stuck in a sidewalk grate while walking and texting. 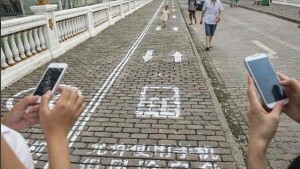 Somewhat ironically, a Chinese theme park installed a “texting” lane last fall to make the activity safer for its patrons. You think Europeans like their bikes? 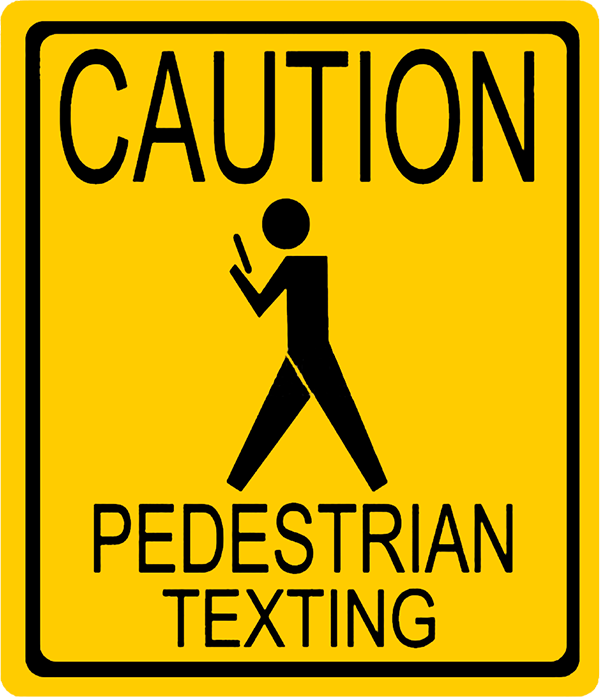 It seems texting is giving walking its comeback. 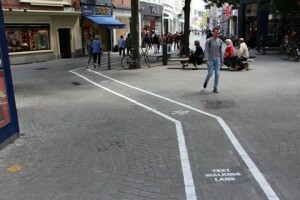 Some roads now have dedicated lanes for texting pedestrians in Belgium. Utah Valley University students were texting into each other! The campus recognized that students walking about campus needed some help with their surroundings. The created a neat awareness piece on a heavily used staircase. Don’t think too hard about it… while the lanes look cool, imagine up and down traffic in each lane! So, how is YOUR business embracing our increasingly mobile society?